After cranking up over 16,000 listens on SoundCloud with a collection of oft-praised R&B/soul numbers, including Rick Ross-inspired ‘Thugs Cry‘ featuring Lil Wayne, SKAI has officially received a plethora of high-profile kudos – and certified stamped approval – from 6-time Grammy Award winning producer, Jimi Kendrix (Jay-Z, 50 Cent, Lil Wayne), DJ Blazita (Jay-Z 40/40 resident DJ in NY) and DJ Bedtyme (Remy Ma Official DJ). Now the 22-year-old recently released a sultry version of Miguel’s number Coffee. To fuel the hype, The New Haven-born edgy songstress – who now resides in London – is currently completing her highly anticipated debut EP entitled Record. 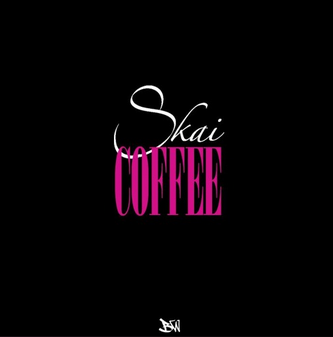 Coffee (Remix) is available as a free download via SoundCloud.